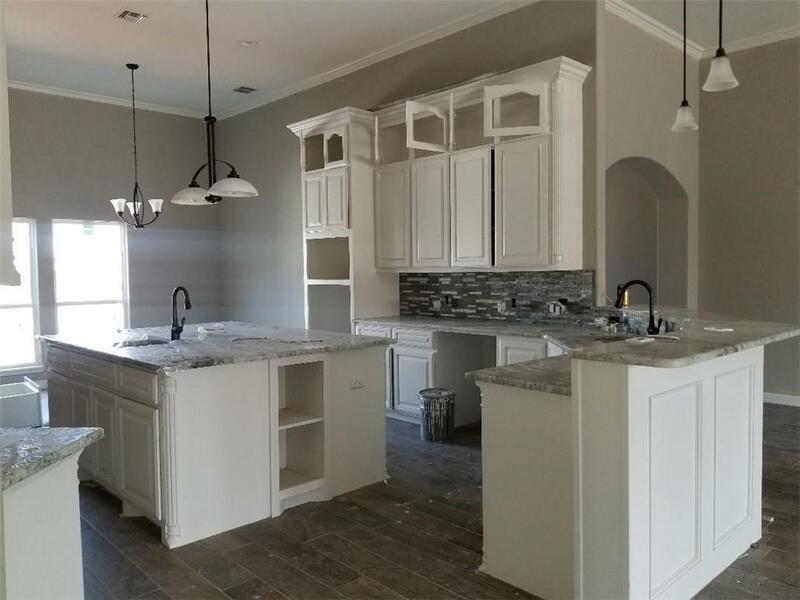 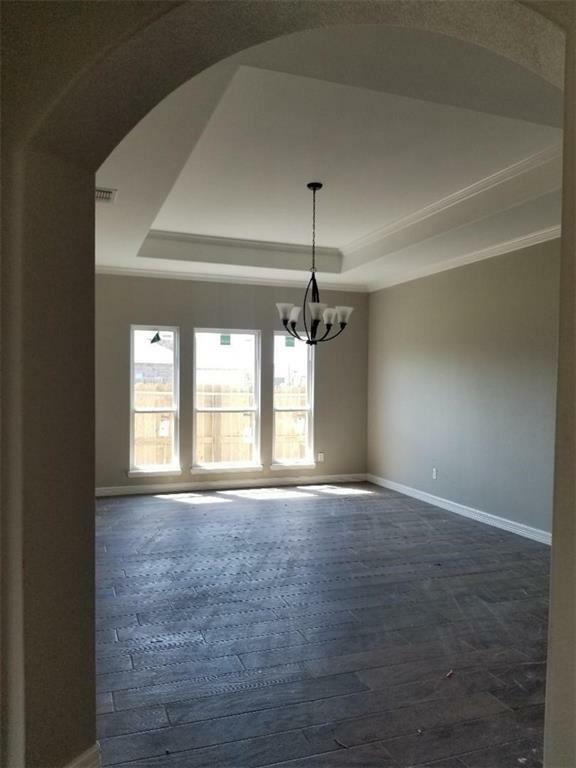 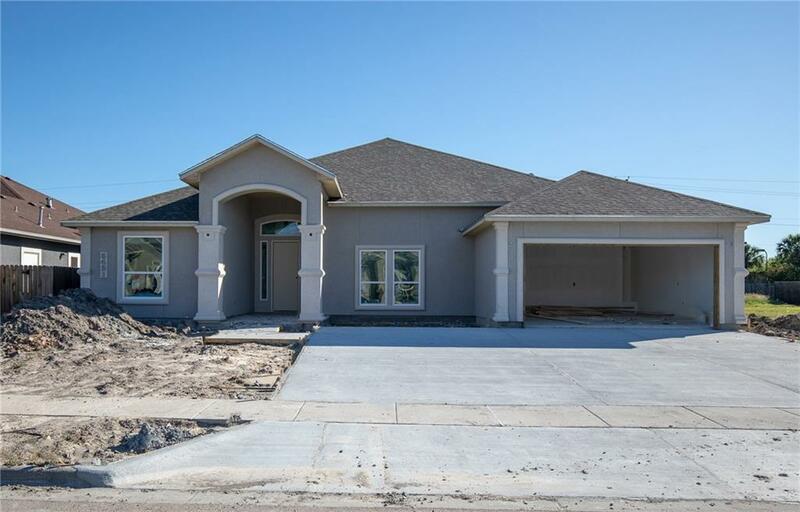 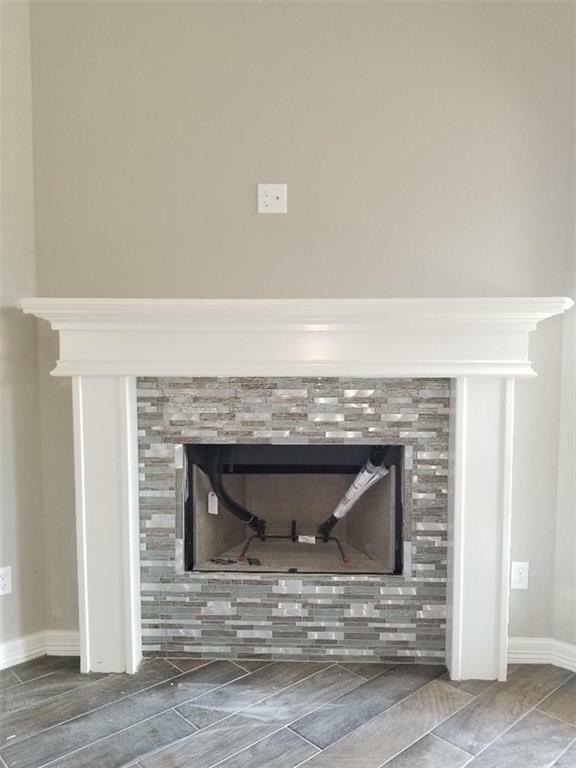 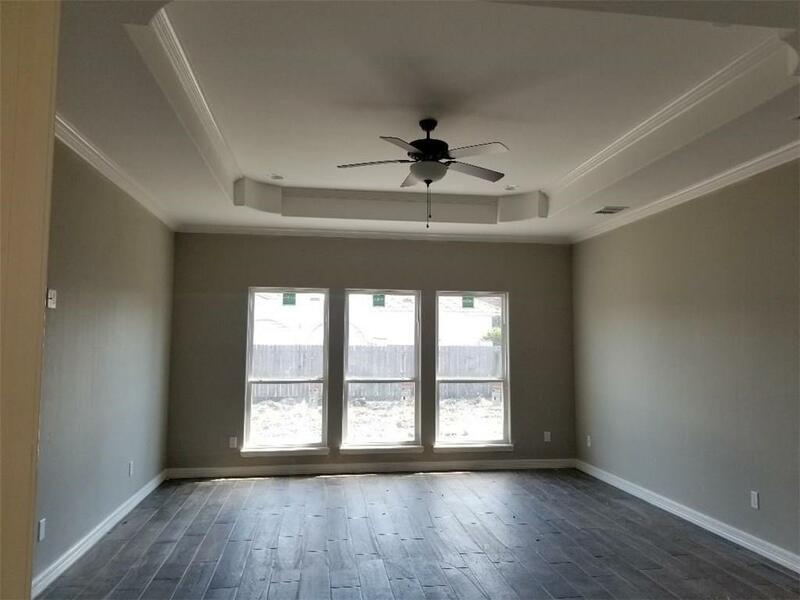 This amazing stucco home offers a beautiful open floor plan with 4 Bedrooms | 3 Full Baths | 2 Car Garage - an inviting entry foyer with an oversize living area with amazing decorative ceilings and custom built crown molding; recessed lighting; ceramic wood look tile flooring throughout. 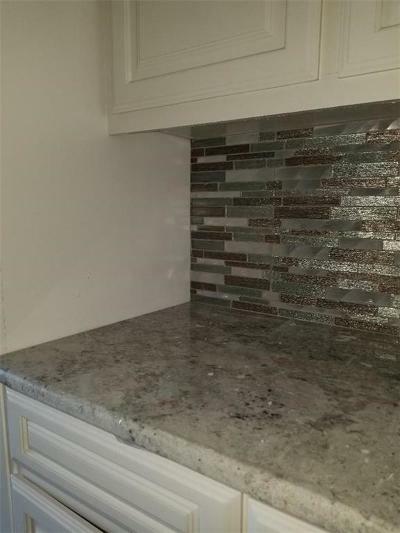 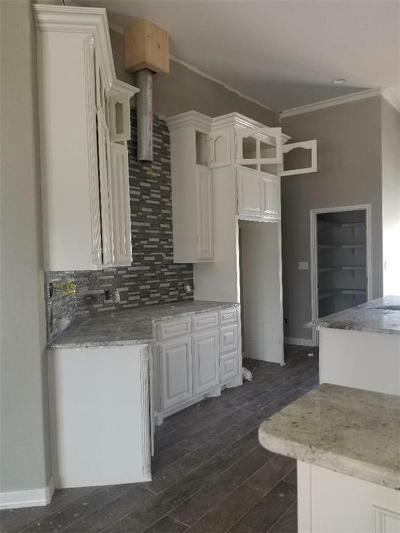 The impressive kitchen includes an oversize island with breakfast bar; beautiful granite counter tops with decorative glass tile back splash; extra large pantry; beautiful custom cabinets and all stainless-steel appliances; gas cooktop. 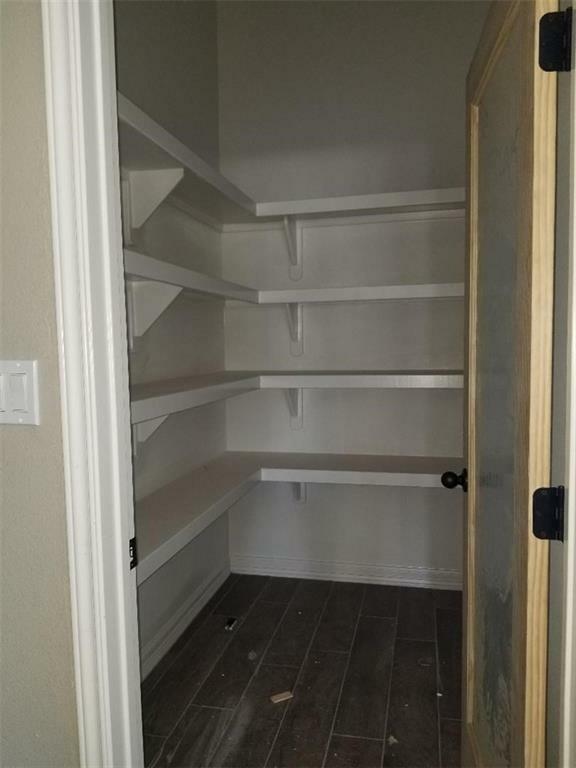 A spacious utility room with a drop zone bench; The extra large master bedroom with decorative ceiling offers a spacious master bath with large jet tub; walk in ceramic tile shower with pebble stone flooring; double vanity sinks and two large master closet. 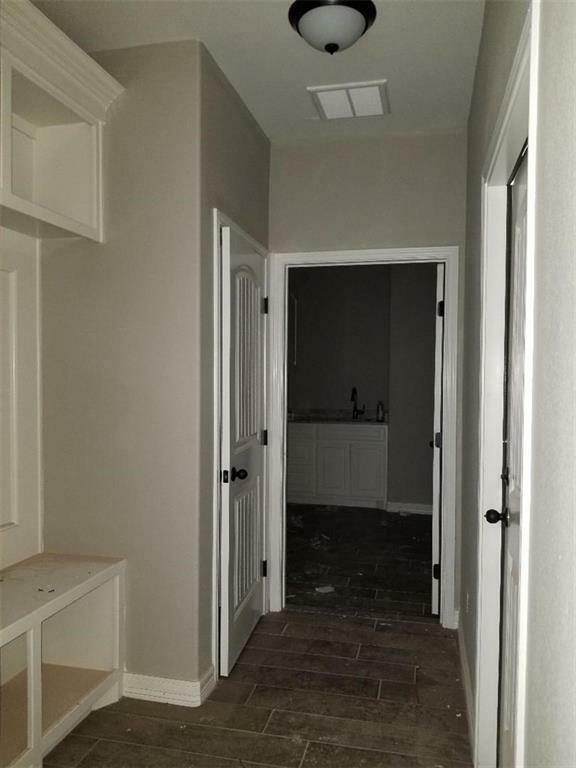 Private guest bedroom with private full bathroom; and large covered porch.